HUNTSVILLE, Ala. – In May of this year, we spent some time with a little boy who wants to grow up and follow in his dad’s footsteps. You may remember him as “Officer Noah.” Noah Harrell is like any other five-year-old. He loves to play. But he has an unusual hobby. He’s collecting shoulder patches from law enforcement officers across the country. 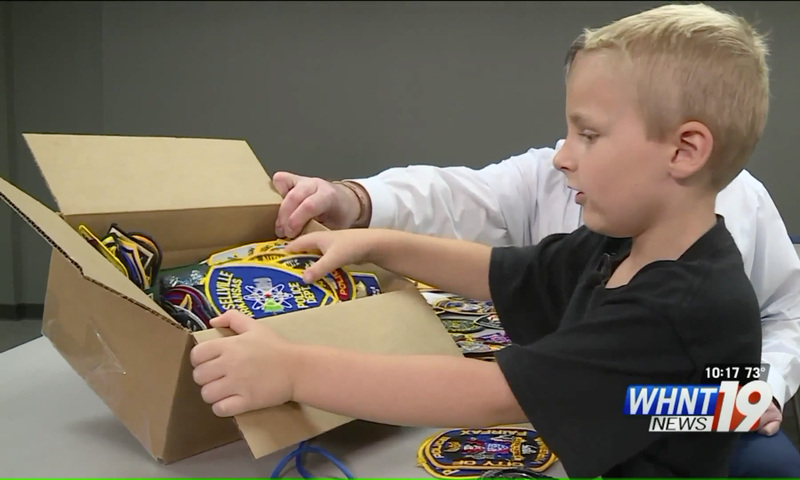 His favorite happens to be a Huntsville Police Department patch because it came from his dad’s uniform. It all started when Noah’s grandfather, who works with law enforcement officers across the country, went on a trip. He would ask his grandfather to bring him a patch. They’re kept in what he calls his police officer’s support book. He started with 29 patches from 14 states. But after we shared his story with our viewers and people started sharing it on social media, folks began contacting us saying they wanted to send him a patch. They did, from across the country. Noah’s collection more than doubled.